MX Showers > Atmos Fusion Shower Valve With Slide Rail Kit. 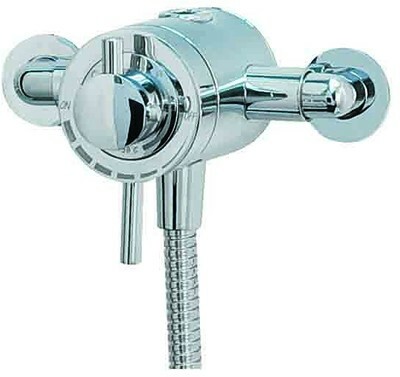 Atmos Fusion thermostatic shower valve in chrome with slide rail kit. 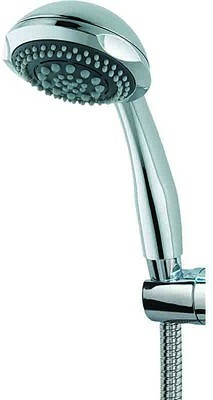 Multi function shower handset, hose and slide rail included. Suitable for either concealed or exposed Installations. Pressure: 0.1 to 5 bar water pressure required. 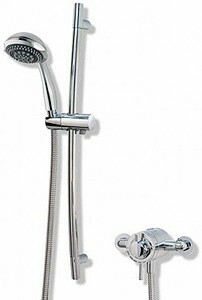 5 Year guarantee: MX guarantee this Atmos Fusion shower set for 5 years. MX manufacture and supply products to the highest quality standards, through innovation, excellence of service and great value. MX ensures that it's products meet all the health and safety requirement and comply with all relevant British Standards.